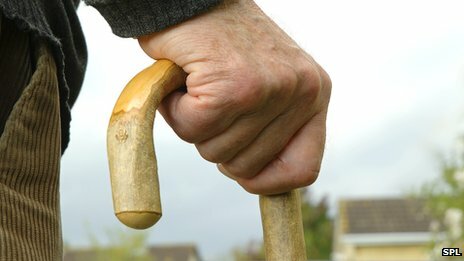 Regular brisk walking can help recovery, fitness and quality of life after a stroke, say researchers in the journal Stroke. A three-month study found outdoor walking three times a week boosted endurance and resting heart rate. Among 128 men and women who took part in the study, those who took up walking had a 16.7% improved quality of life due to better physical health compared with patients who had usual care with therapeutic massage. The walkers could also get 17.6% further in a six-minute walking endurance test. Researchers found that those in the massage-only group had a 6.7% higher resting heart rate after three months. Study leader Dr Carron Gordon, a lecturer in physical therapy, said: “Walking is a great way to get active after a stroke. “Walking can help control blood pressure, reduce lipid or fat levels and help with weight control – all cardiovascular risk factors,” she added. “It encourages the brain to use pathways that may have been damaged by the stroke and enables the individual to relearn how to do certain movements. She added that for stroke survivors who may not be able to walk, there are other seated exercises which can increase your heart rate and improve overall well-being.